Want to know how to spot a true Torontonian? Ask them where the Jays play. Celebrating its 25th birthday this week, the giant white domed stadium next to the CN Tower is technically called the Rogers Centre, after telecoms giant Rogers bought it and changed the name in 2005, but to locals, it’ll always be the SkyDome. If someone answers the above question with ‘Rogers Centre’, they’re probably a Toronto newbie, tourist, or broadcaster who’s legally obligated to use its unaccepted-by-locals name. 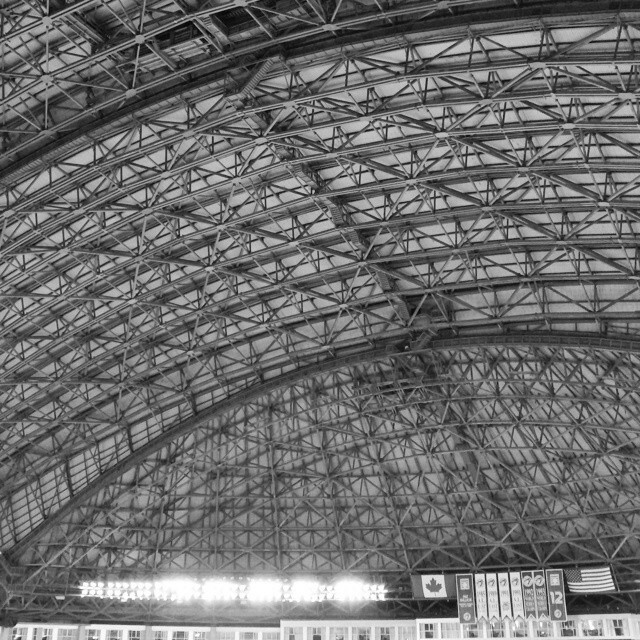 Opened in 1989, Toronto’s SkyDome has seen everything from New Kids on the Block (yours truly’s first ever concert) to WrestleMania, and everything in between. Since the beginning, it’s been home to the Toronto Blue Jays (including their two World Series wins in 92 and 93…which we cling onto with ever fibre of our being). Here’s a recent photo from inside the closed dome, something we won’t see much in the summer! For an awesome info graphic celebrating the legend that is the Toronto SkyDome, check out the Grid.